Exhibitors: Unite with top management, qualified buyers and key decision makers from throughout the food, fuel and beverage industry across the entire state of Florida and beyond. EXHIBITORS - Register HERE! Attendees: Enjoy 2 days of enriching business development, networking, fun and the opportunity to explore 300 booths with innovative products and services that will drive your business to the next level of success. ATTENDEES - REGISTER HERE! Hilton West Palm Beach - this hotel property is directly connected (via a hallway) to the Palm Beach County Convention Center. 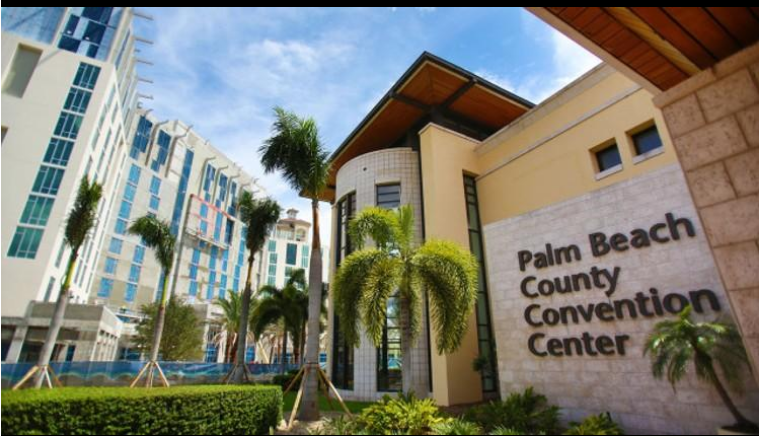 Exhibitor Order Forms: Refer to the link here: http://www.pbconventioncenter.com/order-services for Data & Telecom Services Form, Electrical Service Form, Audio/Visual Service Form and Mechanical Service Form with the Palm Beach County Convention Center. Network & Connect with others from Around the GLOBE! Did you know... Sunshine EXPO has hosted international attendees representing 8 countries and 37 US States! 2019 Sunshine EXPO Sponsorships Are Available! 2019 Sunshine EXPO - Become a Sponsor! Gain Industry exposure and firmly position yourself in the forefront! Let us help you fast track your company's success! As a Sunshine EXPO sponsor you'll join a first class group of companies making a lasting impression while giving your company a leg up on the competition. A Big THANK YOU to our 2018 Sponsors below!